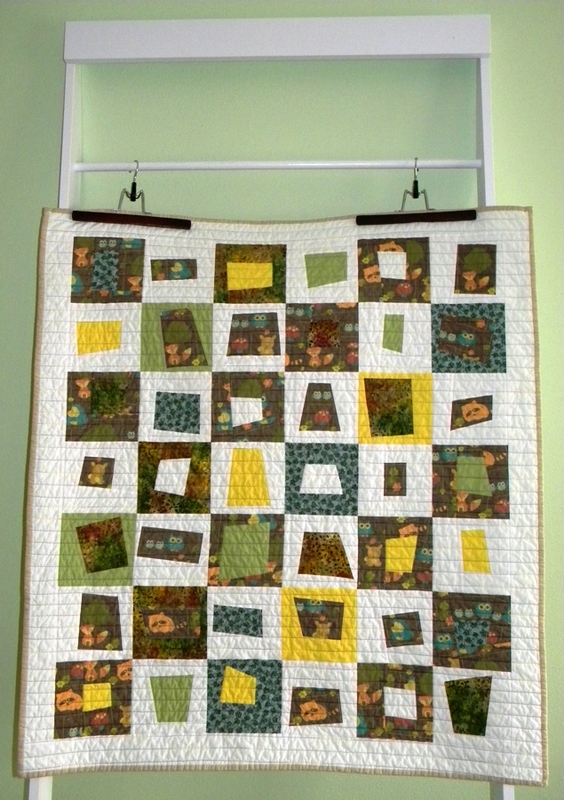 This quilt was based around a super cute woodland animal print fabric purchased fromSpoonflower. 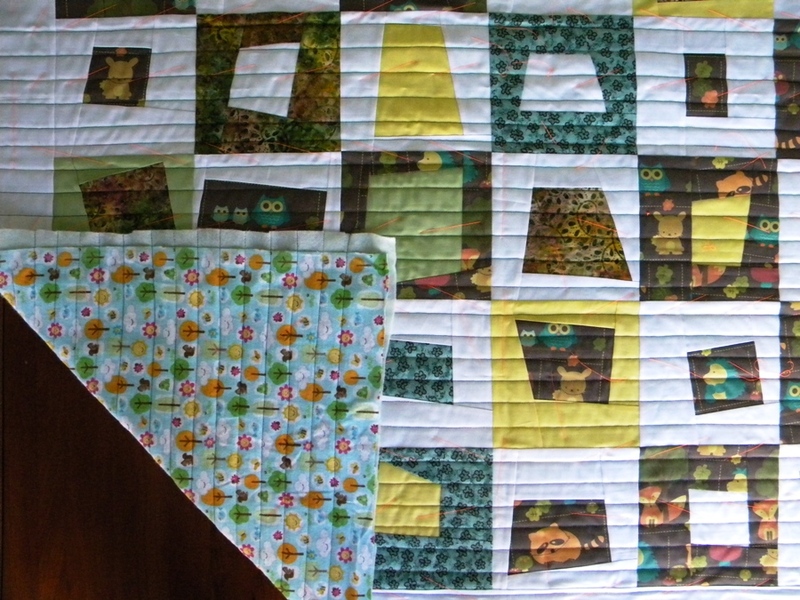 All other fabrics were purchased to coordinate with the animal print, and this was a super fun quilt to piece together. 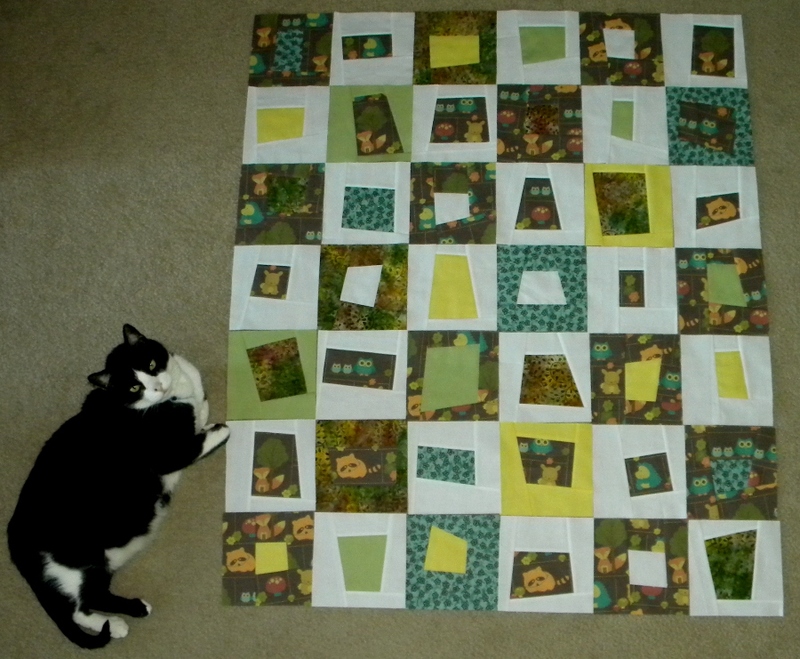 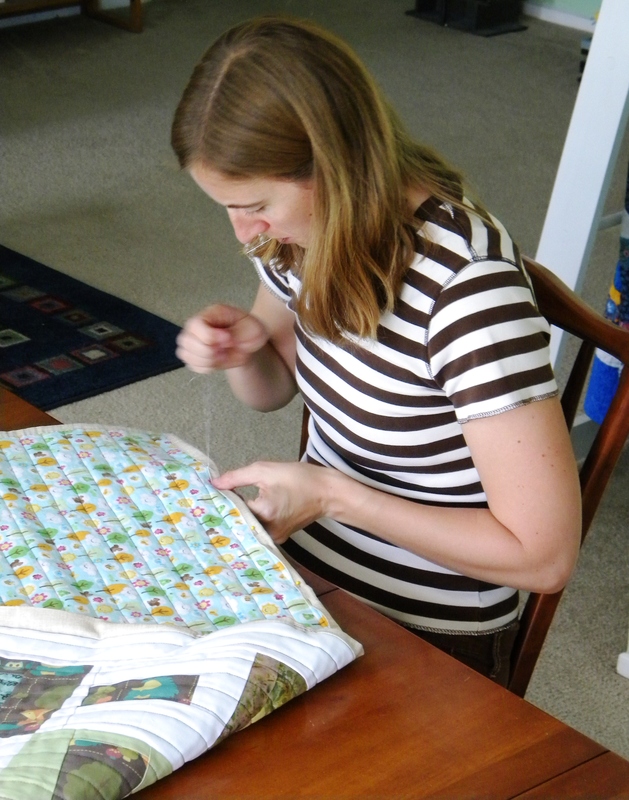 The backing is a flannel fabric – this baby is due in November, so hopefully this quilt will get lots of snuggly use!